There’s a lot of misinformation online about emotional support dogs (and service dogs, for that matter). There are kits marketed on social media and just about everywhere that guarantee they’ll certify your dog as an emotional support dog. It can be hard to know what’s real, and what’s a scam. Plus, emotional support animals have been getting a lot of negative attention in the news, especially after a woman attempted to board a United Airlines flight claiming that her peacock was an emotional support animal. It can be hard to understand what is legally allowed — what an emotional support dog is, who qualifies for one, and how emotional support dogs are different from service dogs. Let’s address some of those questions about emotional support dogs here. What are the differences between emotional support dogs and service dogs? What is the difference between emotional support dogs and service dogs? Photography ©monkeybusinessimages | iStock / Getty Images Plus. A common misconception is that everyone can have or is entitled to emotional support dogs. But, similar to service dogs, you must have a disability and emotional support dogs must be prescribed by a doctor. Emotional support dogs may live with their disabled owners in housing, even if the house or apartment isn’t dog friendly, but in many ways that is where the similarities between service dogs and emotional support dogs end. Service dogs are trained to do specific tasks that mitigate the disabilities of their owners. Emotional support dogs are prescribed because their mere presence provides comfort, but they have no specialized training. Emotional support dogs are not permitted to accompany their owners to public places where dogs aren’t allowed (with a few specific exceptions). Service dogs can go anywhere with their disabled handlers. Emotional support dogs do not have public-access rights — meaning they cannot accompany their person into public spaces like stores and restaurants, with the exception of businesses that are dog friendly. Before you take your emotional support dog to any place or on a carrier (see below for details on emotional support dogs on airplanes), read the place or carrier’s policy to see if they allow dogs and what documentation is needed. Emotional support dogs are allowed to live with their disabled owners in any housing, regardless of if that house or apartment is dog/pet friendly. The United States Department of Housing and Urban Development or HUD’s Fair Housing Act covers the right to keep an emotional support dog. What about having emotional support dogs, and other emotional support pets, on airplane flights? The Air Carrier Access Act is one blurry aspect of access for emotional support dogs in terms of public access. This act allows both service dogs and emotional support dogs to accompany their owners in the cabin of an aircraft so long as they provide appropriate documentation. While emotional support dogs are allowed on flights, they can’t be a nuisance or danger to others. Unfortunately, increasing incidents like a recent news story where a child was bitten in the face by an emotional support dog on a Southwest Airlines flight bring up the importance of ensuring that emotional support dogs who are going to accompany their handlers into airports and onto flights are trained to be comfortable being in public, crowded spaces. Recently, I flew from Los Angeles. In the airport, I saw an emotional support dog wearing a remote shock collar (which is never appropriate!). The dog was very activated by crowds. He was growling and even lunged at a small dog in an under-seat carrier. His owner repeatedly shocked the dog while trying to get through the security line and inquired if she had to remove the shock collar for her dog to go through the metal detector. Regardless of this handler’s mental-health condition and need for an emotional support dog, it was clear to me that this dog was distressed, and not an appropriate candidate for an emotional support dog in a crowded airport. Stay tuned this week when we discuss airline safety, rules and regulations for dogs and dog parents. How do you get your dog certified as a bonafide emotional support dog? How do you get your dog certified as an emotional support dog? Photography ©sanjagrujic | iStock / Getty Images Plus. There are a number of online sites claiming to help people turn their pets into emotional support dogs. However, there is actually no such thing as a certified emotional support animal. 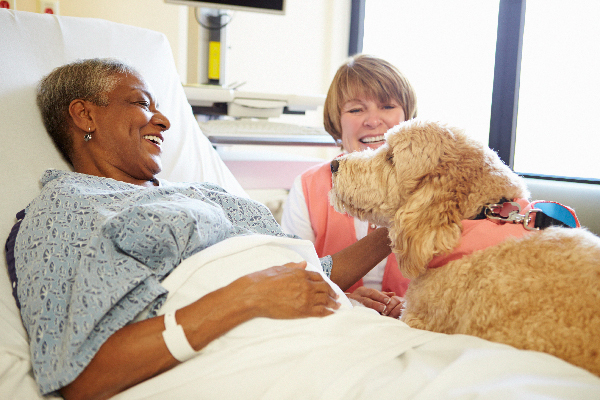 If you have a mental health condition that is debilitating and the presence of a dog improves your condition, or helps ease symptoms of your condition, the best thing to do is to talk with your doctor, therapist or other professional members of your care team. Discuss mental-health benefits that you see from having a dog, and they will be able to determine if you qualify as disabled, and if so will write you a prescription for an emotional support dog. What are the regulations associated with emotional support dogs? While all of us get emotional benefits from having our dogs around, it doesn’t mean that every person is entitled to have an emotional support dog. Wanting to have a dog but living in a rental property that doesn’t allow pets is not a justifiable reason for an emotional support dog, and neither is worrying about having to fly with a large dog. The only people who are entitled to emotional support dogs are people with diagnosed disabilities, and a healthcare provider must prescribe the dog as part of your overall treatment plan to improve your condition and quality of life. Tell us: What other questions do you have about emotional support dogs? Thumbnail: Photography ©KalebKroetsch | iStock / Getty Images Plus. Sassafras Lowrey is an award-winning author. Her novels have been honored by organizations ranging from the Lambda Literary Foundation to the American Library Association. Sassafras is a Certified Trick Dog Instructor and assists with dog agility classes. Sassafras lives and writes in Brooklyn with her partner, a senior Chihuahua mix, a rescued Shepherd mix and a Newfoundland puppy, along with two bossy cats and a semi-feral kitten. Learn more at www.sassafraslowrey.com. 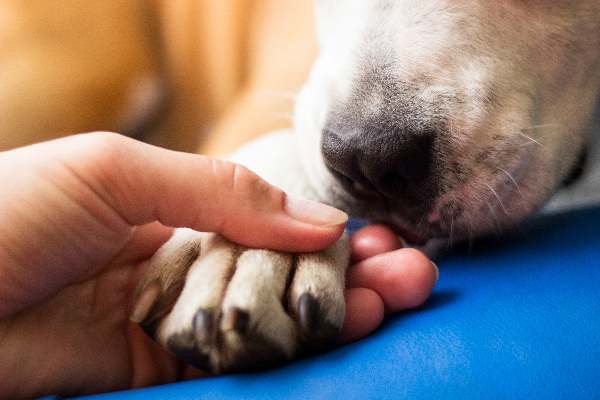 The post Emotional Support Dogs — What to Know About Certification, Public Access and How to Get One appeared first on Dogster.